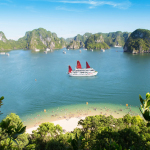 Majestic Halong cruise combines charm and great comfort to meet the growing demand... Read more! The boutique beauty of the cruise will charm all the guests at the first glance.... Read more! 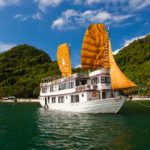 Set sail aboard the Luxury Imperial Cruise, a traditional wooden sail boat, which... Read more! 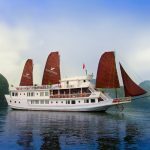 Swan Cruise Halong is higly recommended cruise in Halong bay for impressive cruising... Read more! 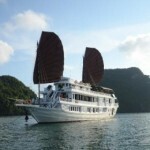 Launched Halong Phoenix Cruiser 03 (November 2011) with 14 cabins is designed with... Read more! The word V'Spirit actually means Vietnamese Spirit, and our goal is to help you... Read more!